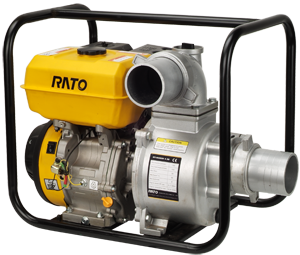 Rato standard water pumps are designed and manufactured for general water pumping duties and features a tuff aluminium pump housing and corrosion resistant e-coated frame. This Transfer Pump is purpose built for heavy duty industrial applications and as with all our pumps, a super heavy duty Rato engine is fitted to ensure your new pump will take what ever you can throw at it. 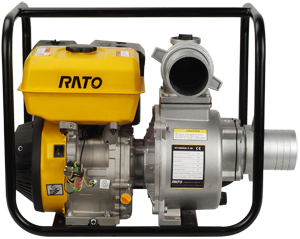 For a pump that truly exceeds your expectations, you can’t choose better than Rato. All Rato products are covered by a fast exchange 1 year warranty.